Known for being dynamic and inventive, Camille A. Brown & Dancers soar through history, exploring issues of race, culture, and identity. Camille’s energetic choreography gives life to Broadway shows like Once On This Island, A Streetcar Named Desires, and tick… tick… BOOM! We are committed to empowering communities through dance and dialogue. Join us for music, art- making, and community-building. 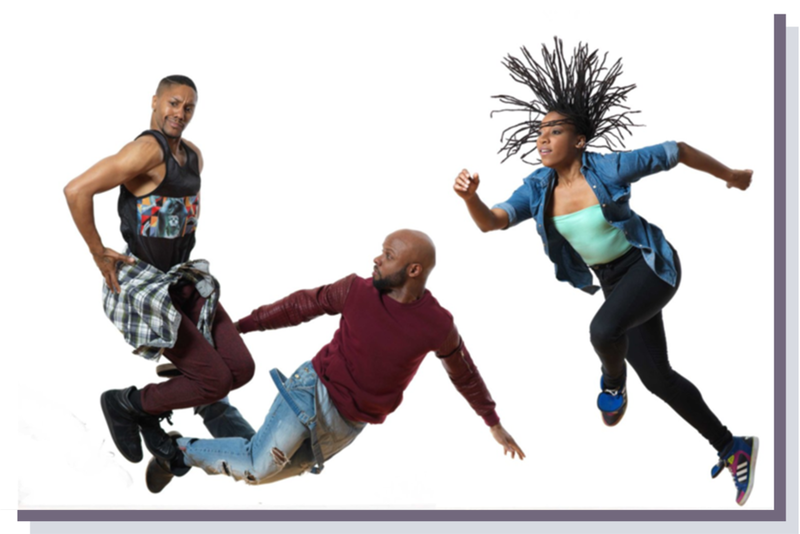 Choreographer and educator, Camille A. Brown’s award-winning choreography reclaims the cultural narrative of African American identity. Her bold work taps into both ancestral stories and contemporary culture to capture a range of deeply personal experiences. Through dance and dialogue, Ms. Brown empowers Black bodies to tell their story in their own language(s). Read more. Why do we dance? African-American social dances started as a way for enslaved Africans to keep cultural traditions alive and retain a sense of inner freedom. They remain an affirmation of identity and independence. In this electric demonstration, packed with live performances, choreographer, educator and TED Fellow Camille A. Brown explores what happens when communities let loose and express themselves by dancing together. Over 15 million views!